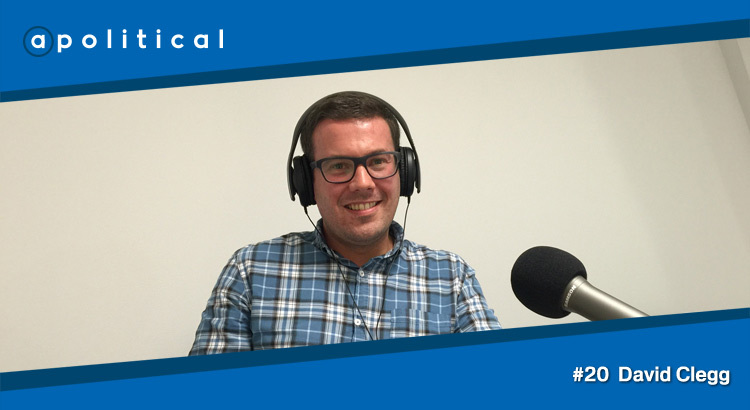 In Episode 20 of Apolitical we speak with David Clegg, the Daily Record’s Political Editor and reigning Scottish Political Journalist of the Year. We chat about his work; the Daily Record’s decision to endorse Jeremy Corbyn for the Labour Party leadership; the challenges facing traditional media outlets as they adapt to developing technology and changing consumer behaviours; and his experiences covering the Referendum and General Election over the past couple of years – including a look at “The Vow”. • Whether the “Vow” has achieved what the Record hoped it would.